Before reaching Tria Spa at MGM Macau, a lavender and orange scent pervades the hallway, beckoning aching limbs toward the wooden latticework entrance doors. The natural wood decor continues in several areas of the spa while tiles line the darkened hallways leading to the treatment rooms. 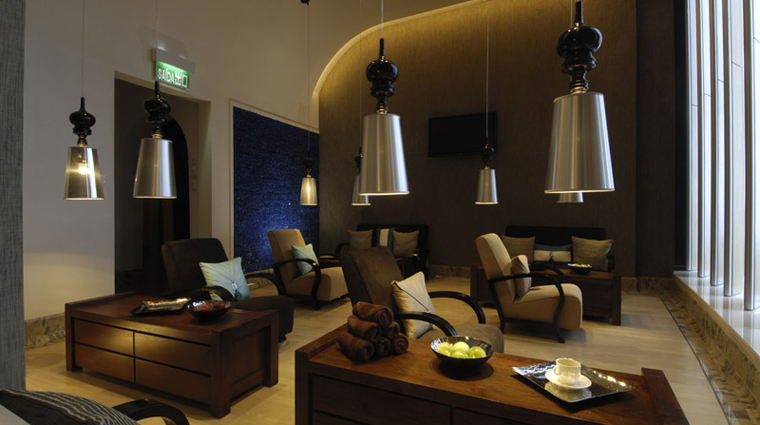 Tria, as the name suggests, takes a three-pronged approach to the spa concept: wellness, beauty and vitality. Wellness is delivered through rituals, which all start with a footbath and then move on to specialty treatments. Beauty offerings include a full slate of facials, manicures, pedicures and hair services (color, cuts, styling, etc.). Vitality comes in the form of the gym, fitness consultations and personal training. To make treatments more personal, Tria has introducing a results-driven system to appeal to those who want instant gratification. The Moroccan-inspired Hammam Detoxifying Ritual employs exfoliation, a steam mask and massage to expel toxins from your body. For a decadent spa day, opt for the Rose Diamond HydraFacial. An enzyme peel with rose and diamond dust leaves your skin hydrated and dewy. Get a treatment in a So Sound lounger, a music chaise lounge that helps you reach deeper levels of relaxation through the penetrating sound and vibrational oscillations of therapeutic sound. This is the only Macau spa to have them. The aromatic Japanese Balancing Ritual pampers your entire body, but especially your nose. A lime and ginger scrub sloughs away dead skin and cherry rice blossoms soften it. After a wild lime and plum blossoms massage, a wrap seals it all in while you get a scalp and neck massage. For some Chinese healing, pick tuina, a traditional dry massage that uses gentle rocking, acupressure and movement to soften muscles while relieving chronic pain and tension. 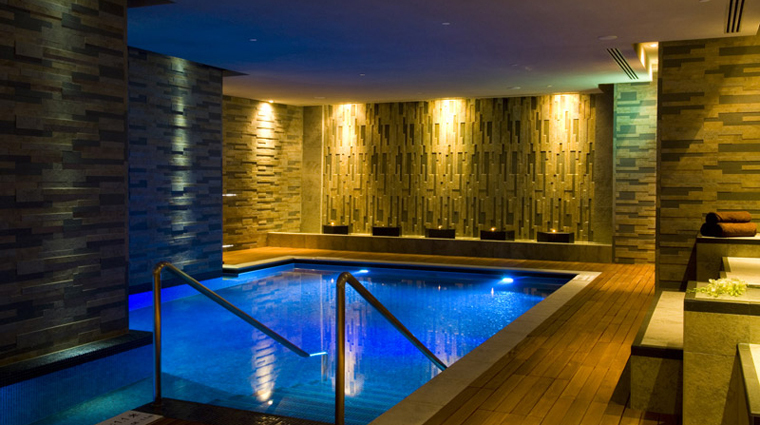 Arrive at least 30 minutes before your appointment to use the wet facilities, including an herbal steam room and vitality pool. And if you plan on indulging in the wet facilities, bring your bathing suit. Wet areas are only available to those 16 and older. Cell phone use is not permitted in the spa. If you’re staying at MGM Macau, opt to have massages or foot acupressure performed in your hotel room. You just need to give the spa an hour’s notice. The signature wellness massage offers the opportunity to design your own treatment, thanks to a pick-and-mix strategy (pressure, style, aromatherapy) that combines techniques to address your particular ailments. Tria introduced Macau to sound therapy. Tibetan singing bowls can likely be found around the city’s spas, but So Sound loungers are not. Tria offers a 30-minute nap on a lounger or a Chinese foot massage on the chaise. Try the non-invasive HydraFacials, which include a deep cleansing and exfoliation, a peel, gentle extractions and lots of antioxidants. They help battle acne, sun damage, hyperpigmentation, fine lines and wrinkles. If you don’t have time for a full facial, get the 30-minute NuFace, which uses microcurrents to lift, firm and sculpt your face with little recovery time needed. Plan to spend time circulating among the wet facility amenities, including an herbal steam room, sauna, experience showers, foot massage baths and a vitality pool. The Technogym-filled fitness center lets you work on cardio, whether you want to hit the treadmill or take one of the classes offered in the small studio. Post-treatment tip cards encourage you to continue treatments at home, and the recently upgraded spa shop carries all of the products you might need.